Fuzzy & The Rustbelts were born from a place where lyrics and music form an all Americana experience. Where stories take center stage and transport listeners to another place. 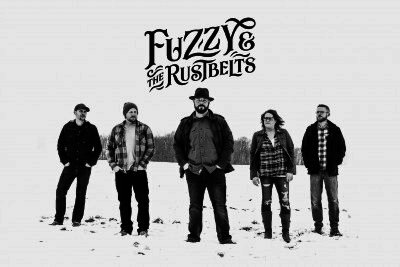 Fuzzy & The Rustbelts have created a sound that appeals to a vast audience. A sound that chugs like a freight train, lifts you up, and offers hope with a chance to begin again. Just wait ’til you hear the band. Buffalo based singer songwriter, Kate Mallen, began her career performing her original music in such New York City landmarks as CBGB’s, The Bitter End, Kenny’s Castaway and The Lion’s Den. Kate won WYRK’s 2017 Taste of Country Riser competition and has been sharing her unique soulful Country sound and original songs with Country music fans around the city of Buffalo ever since. In 2018 she opened Buffalo’s Taste of Country concert featuring Thomas Rhett, Chris Janson, Scotty McCreary and Danielle Bradbury as well as the Jam in Valley and WYRK’s fall acoustic show, featuring David Lee Murphy, Carly Pearce and Tyler Rich. Kate has also performed with various national acts including Jimmie Allen, Walker McGuire, Drew Baldridge, Jon Langston and Eric Van Houten.